If you're looking for an intelligent vehicle that's affordable, loaded with features and fun to drive, look no further than the 2018 Nissan Sentra, available now at Zeigler Nissan of Orland Park! Test drive it today and you'll see just why this smart compact sedan is a better option than top competitors like the Toyota Corolla, Mitsubishi Mirage and Chevrolet Cruze. 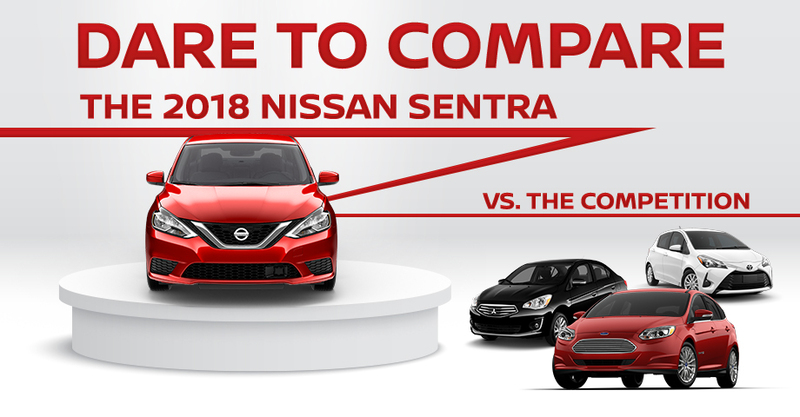 Drive the new 2018 Nissan Sentra and you're in for a driving experience that's comfortable, fun and efficient! You'll also notice that the 2018 Sentra has more power than the Mitsubishi Mirage, delivering up to 124 hp and up to 125 torque @3,600 rpm. The Sentra's newest version of its Xtronic CVT® transmission also offers a traditional transmission that delivers a more spirited drive while still delivering optimum fuel-efficiency.That's up to 27 miles per gallon throughout the city streets of Orland Park and up to 35 MPG on the highways of Illinois. 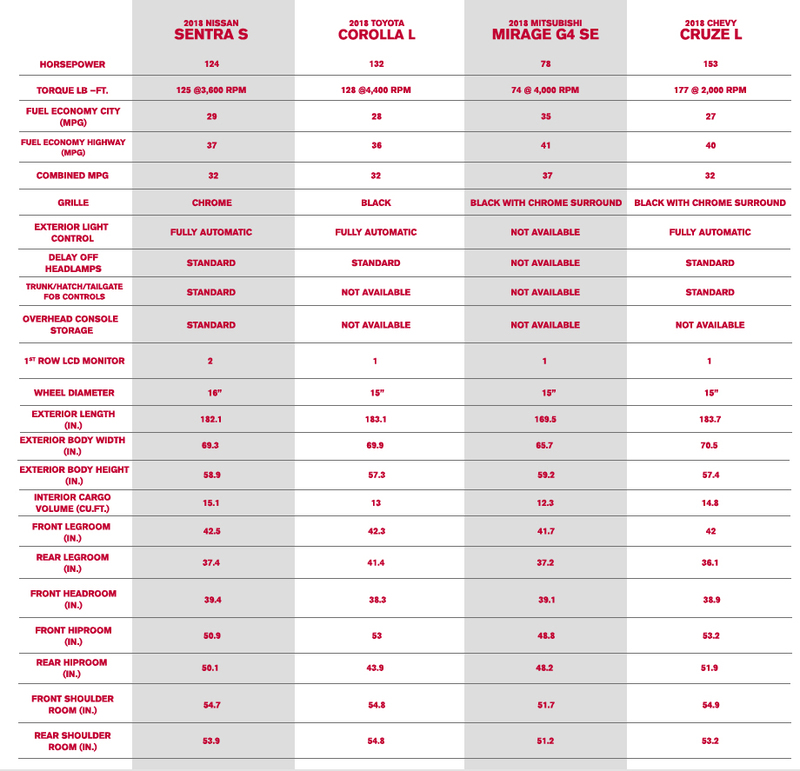 Competitors like the Toyota Corolla L and Chevy Cruze L can't compare! The 2018 Sentra may be classified as a subcompact; but inside, you'll find it's surprisingly spacious and stylish. In fact, with 15.1 cu.ft., it has more maximum interior cargo space than many of its top competitors including the Toyota Corolla, Chevrolet Cruze and Mitsubishi Mirage, while achieving a more premium feel at around the same price. With available features like Forward Emergency Breaking, Blind Spot Warning and Rear Cross Traffic Alert, the Nissan Sentra delivers a drive that's smarter, easier and safer than ever. Explore additional safety features available with the new Sentra when you visit Zeigler Nissan of Orland Park. Still thinking of driving those other subcompacts? We didn't think so. Get behind the wheel of the sedan that delivers more for less today at Zeigler Nissan of Orland Park today!